BAKERSFIELD – Cedric C. White Sr., age 86, passed away on Monday, April 16, 2018, with his family at his side at the St. Albans Health & Rehab facility. He was born in Marshfield, VT on August 22, 1931, to the late Bill & May (Brown) Lunge and Rolla White. He was one of nine children. Cedric’s life revolved around farming. After attending school in Bakersfield, he started working at farms around Franklin County and then began working at Worthmore Feeds in Brattleboro. While living in southern Vermont, he met and married Evelyn (Woodley) on April 25, 1953. He returned to Franklin County with his family in 1967. Cedric owned farms in Enosburg, Berkshire and East Fairfield; he bought the farm in Enosburg in 1967, Berkshire in 1982 and settled in East Fairfield in 1988. 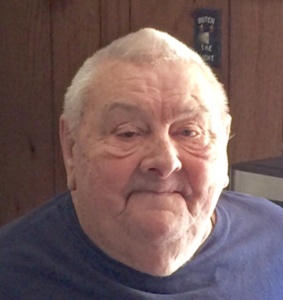 He was very active in the farming community and helped with several organizations including the UVM Extension Service, Farm Bureau, and 4-H. Cedric retired from farming in 2000. He is survived by his children, Marie McRae and her husband Gordon of St. Albans, Elaine Rizzo and her husband Robert of Charlotte, NC, Darren White of Bakersfield, Teresa Robert and her husband Garth of Enosburg and Cedric White Jr. and his wife Dawn of East Fairfield; several grandchildren, Rachel Repetto, Sara Hanson, Abraham, Samuel, Joanna, Jessamyn, Logan & Annalisa McRae, Melissa Button, Tiffany Rizzo, David Burns and Ashley, Heather, Cedric III & Hunter White; 19 great grandchildren; his sister, Naomi Lunge of St. Albans and many nieces & nephews. Besides his parents, Cedric was predeceased by his wife, Evelyn White; a newborn son, Emery White; 2 grandchildren, Daniel & Marc McRae; 2 great-grandchildren, David Repetto and Kiara McRae and 7 siblings. In keeping with Cedric’s wishes, there will be no public services. For those who wish, contributions in Cedric’s memory may be made to the Lucas James Williams Youth Fund, P.O. Box 85, Bakersfield, VT 05442.